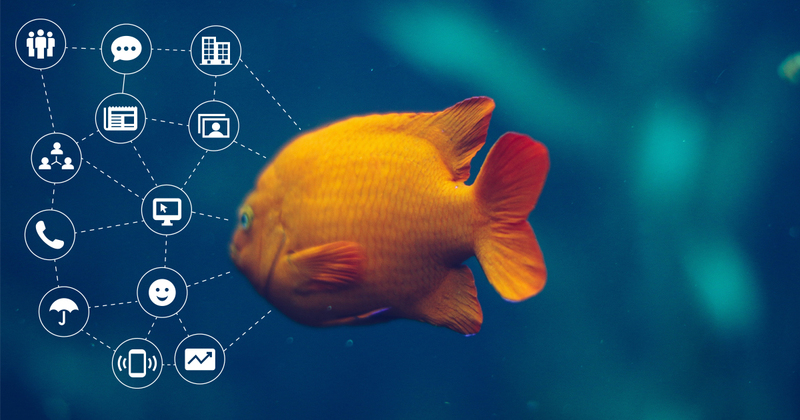 In a world bursting with new technologies, it has been said that humans now have a shorter attention span than a goldfish which has an attention span of about nine-seconds. The New York Times op-ed by Timothy Egan, addresses the eight-second attention span. He says, “I can no longer wait in a grocery store line, or linger for a traffic light, or even pause long enough to let a bagel pop from the toaster, without reflexively reaching for my smartphone.” Does this sound familiar? According to the website Statistic Brain, office workers check their email 30 times an hour, and the average attention span has dropped 3.75 seconds from 12 seconds in 2000 to 8.25 seconds in 2015. In addition, only 17 percent of website page views last four seconds or less. When you are thinking about marketing and public relations in a world where people zoom by ads and content, it is a challenge to engage them successfully. How, then, do you get and keep your clients’ attention? Consider audience wants and needs. You first need to think about your target audience. What do they want? What do they need? When will they be paying attention? Often, businesses share content online about their accomplishments but it is important to connect those accomplishments to the prospective customers’ needs. For instance, if you are a lawyer who was named a Best Lawyer or Super Lawyer in the area of estate planning, it’s worth sharing that news and tying it into how your readers can safeguard their personal estates. Go where the customers are. Understanding where people get their information is fundamental to a successful online content strategy that seizes the viewer’s attention immediately and keeps them. For instance, B2B businesses are more likely to engage their target audience on LinkedIn than Twitter while Facebook is a better platform, in general, for B2C. Capture the micro-moment opportunities. Today most people are doing micro-moment searches on their mobile devices. According to an article by Rob Weatherhead of Media Network Blog for The Guardian, the micro-moment is a term coined by Google to define anytime a consumer uses an online platform to look something up, be it a store’s hours, a restaurant menu or where the closest gas station is located. Make sure your content is optimized for organic search in order to keeping the viewer’s eyes on the prize. Create clear, concise and engaging content. In today’s tech world where immediate gratification is all around us, it is important to carefully manage content choices. For example, website images and their placement should take into consideration load time, size, placement, visual appeal and story-telling value. Those images should complement your content, which should be easy to read by using bullets or specific spacing. Less is often more. With the rise of technology and its continuing advancements, we have turned into a society even more eager for information at light speed. We can embrace in marketing and public relations with shorter, more targeted, more visual information distributed through the many new tools, such as social media, that capture the minds moving at warp speed.